How can I tell if solar will work on my home? Whether or not solar panels will work on your home depends on the amount of shade present and the direction in which they are installed. To get optimal performance from your solar panels, they should be installed facing somewhere between a southeast and southwest direction. You will also want to ensure that there is little to no shade on your solar panels between 9 AM and 3 PM, when the sun’s rays are strongest. When our solar experts visit your home, they will conduct a “shade analysis” to determine the amount of shade present on your roof. Besides installation costs, what other costs are associated with solar panel systems? Additional expenses to consider when going solar include landscaping (if mounted on the ground) and potential roof replacement costs. Trimming several trees can help minimize the shade present on your panels, maximizing their efficiency. If your roof has less than 5 years of life left, we recommend replacing it before you install your solar panel system. Because solar systems have a lifespan of at least 25 years, it’s best to start with a newer roof. How do I know what size system my home needs? The average system size is 5 to 6kW (5,000 to 6,000w). Our solar experts will determine the size of your system based on your roof size and the amount of energy your home typically consumes. How much space do I need on my roof to install solar panels? A good rule of thumb is that 2kW of PV capacity can be installed in 100 square feet. To support the average system size, you would need 300 to 400 square feet on your roof. How long does it take to pay off an investment in a solar panel system? The typical payback period for most homeowners is between 4 and 7 years. How much does a solar system for my home cost? The cost of solar panels differs for every home. Some factors that come into play are the size of the solar panel system and the incentives in your state. There is currently a 30% federal tax credit and a Massachusetts state tax credit of 15% up to $1000 for all new solar systems installed on residential properties. Massachusetts also has a Solar Loan Program that can provide up to 30% in up front loan support dependent on your annual income. What happens when there’s a problem with my solar panels? If the problem is caused by a natural disaster; such as strong winds knocking over a tree, your homeowners’ insurance will pay Energy Monster to replace the damaged panels. If there is a defect with a panel or supporting equipment Energy Monster will cover the malfunctioning item(s) under our 20 year “bumper to bumper” warranty that comes with all new solar installs. How much should I expect to receive in SMART Tariff payments per month? The amount you can earn in SMART Tariff payments varies by system size. The larger the system size the more you can expect to receive in payments. Is my roof too old for solar panels? The average lifespan of a roof varies based on the materials it’s made from. Generally asphalt roofs, which are the most common roofing materials in New England, last between 15 and 25 years. If your roof needs to be replaced within the next 5 years, you should hold off on going solar until you get a new roof. This will ensure that your roof is structurally sound to support the weight of the panels and prevent the added cost of reinstalling panels when you replace your roof. 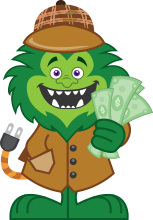 Energy Monster can also help you finance a new roof with a solar system at the same time! Does a Sungage Financial Solar Loan apply to leasing? 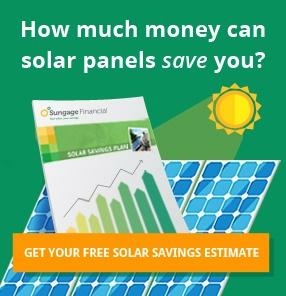 Sungage Financial ’s Solar loans only apply to homeowners who plan on owning their solar system. Paying back your loan is as quick and easy as the loan application process. A few weeks after your solar system is up and running, you’ll begin to make fixed monthly payments on your loan. When tax season rolls around, Sungage Financial will remind you to file for any tax credits. What if I want to pay back more than the minimum monthly payment? You can prepay your loan without worrying about a penalty fee. Is Sungage Financial a bank? Not quite. Sungage Financial partners with various banks to connect homeowners with financing to make owning solar panels more affordable. Why should I finance my solar panel system through Sungage Financial? Sungage Financial offers several financing terms and plans that result in lower monthly payments and long-term savings. They will work with you to create a financing plan that maximizes your savings opportunities, including tax credits and incentives. Your energy bill savings can virtually finance the cost of installing your solar panel system. 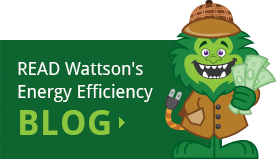 To get a better estimate of your potential energy savings, contact an Energy Monster adviser and request a Solar Savings Plan. The plan can give you an estimate for both immediate and long-term savings. Start By Scheduling Your No-Cost Solar Assessment Today!